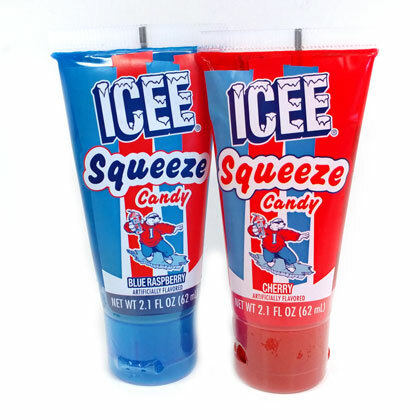 Icee gel in a convenient tube with a flip lid. Available in Cherry and Blue Raspberry. Approx. 4.75 inches tall. 1 tube.